This glass drinking vessel has a wall thickness of less than 1 millimetre. 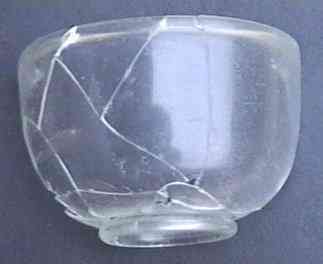 Even so, in comparison with some of the glass fragments which were found, it is thick walled. Indeed, the finest glass found on the site has a thickness of less than half a millimetre and is decorated with applied strands.